With a modular design to meet the needs of a breadth of experiments, the Model CPX is Lake Shore’s most versatile, high performance cryogenic probe station. 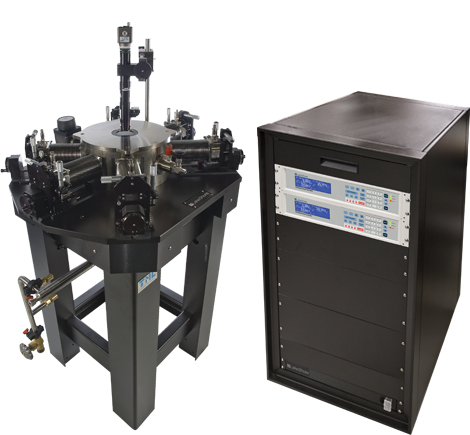 Various options and configurations on the CPX enable the researcher to conduct exacting, challenging test measurements. The CPX has multiple radiation shields to provide Lake Shore’s best low temperature performance with configurations enabling sample temperatures as low as 1.6 K. Multiple temperature sensors throughout the station ensure accurate, repeated measurements.